With the slow aging of countries all over the globe, more and more people are getting interested in iPhone apps and games that build mental acuity. 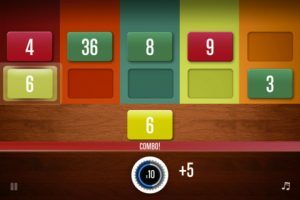 If you’re one of the people who believes that training your brain today can stave off memory loss and dementia in your old age, then you should check out the very iPhone cool gameNumberOne, developed by Neotko Studios. NumberOne operates on the Stroop Effect. That’s when you struggle to correctly identify a word because of the color it’s printed in. For example, if the word “red” was written in green ink, correctly naming the color of the word is pretty tough. It takes a lot of mental focus complete the task quickly and without errors. 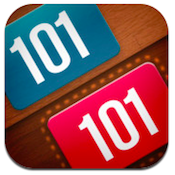 NumberOne is simple to play, but very difficult to master. You are presented with a colored tile with a number, letter, or symbol upon it. Above the tile, you’ll see a bunch of other tiles in varying colors and with various symbols on them. Your goal is simple: find matching tiles as quickly as possible, without making any mistakes. If you make a wrong match, you lose time on your countdown clock. 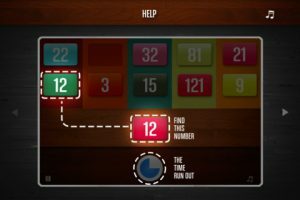 Once the time has run out, you can see your score and average response times. 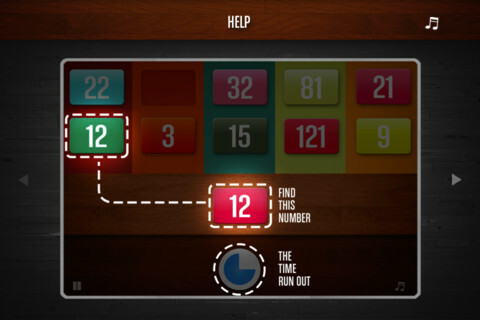 In addition, NumberOne also includes integration with Twitter and Facebook. The latest update includes GameCenter support as well, so you can see how you stack up against other players. Best of all, the NumberOne is darn pretty to look at. Bright colors, great design, and very slick overall. 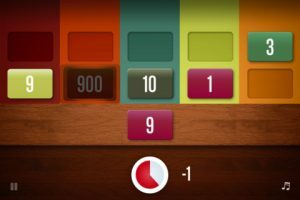 Suitable for kids, the elderly, or anyone who just wants to improve their focus and concentration, NumberOne is a surprisingly addictive brain teaser for iPhone. It may be frustrating, but stick with it, and you’ll really start to feel smarter, even if it doesn’t exactly raise your IQ. NumberOneis compatible with iPhone, iPod touch, and iPad. Requires iOS 5.0 or later. A small expedite fee was paid by the developer to speed up the publication of this iPhone game review.